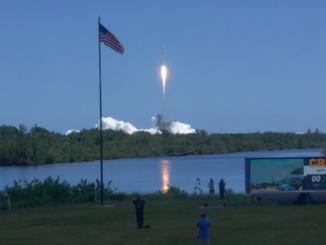 Look back on Monday’s blastoff of a SpaceX Falcon 9 rocket from the Kennedy Space Center in this gallery of photos captured by remote cameras at the launch pad, plus views of the first stage returning to Cape Canaveral for a propulsive landing. 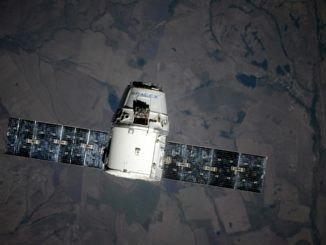 Two days after departing from a launch pad on Florida’s Space Coast, a SpaceX Dragon cargo capsule arrived at the International Space Station on Wednesday with more than 6,400 pounds of experiments and supplies after concluding an automated laser-guided approach. 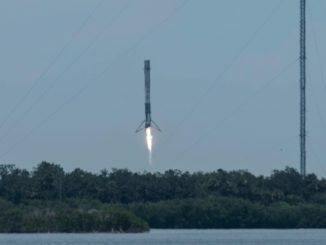 A SpaceX Falcon 9 rocket climbed into space Monday from NASA’s Kennedy Space Center atop a column of gleaming exhaust, shooting a commercial resupply vessel toward the International Space Station with research projects looking into cosmic rays, the origin of Parkinson’s disease, the utility of small satellites and an experimental radiation-tolerant supercomputer. 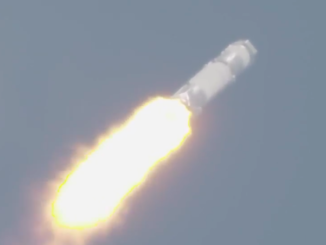 Check out a 4K video clip of Monday’s Falcon 9 launch viewed from Spaceflight Now’s office at the Kennedy Space Center. 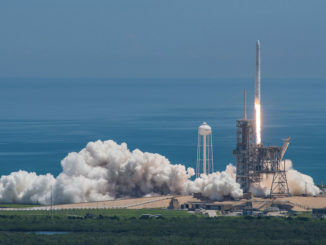 A SpaceX Falcon 9 rocket blasted off Monday from NASA’s Kennedy Space Center, then the launcher’s first stage returned to landing at nearby Cape Canaveral Air Force Station after sending a Dragon supply ship toward a rendezvous with the International Space Station. 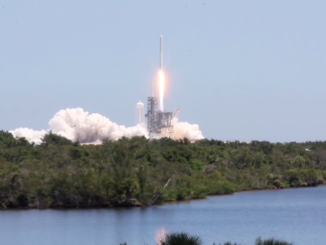 Watch a replay of Monday’s Falcon 9 launch as seen from the Kennedy Space Center press site, a viewpoint around three miles from pad 39A. 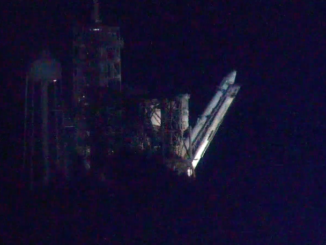 SpaceX’s ground team hydraulically hoisted a 213-foot-tall Falcon 9 rocket vertical at pad 39A at NASA’s Kennedy Space Center before dawn Monday ahead of a planned liftoff with a space station-bound robotic resupply craft. 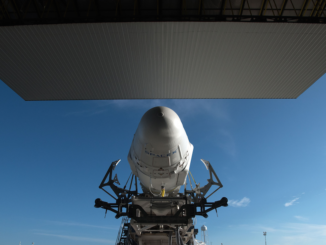 SpaceX’s next Falcon 9 rocket rolled out of its hangar and up the ramp to launch pad 39A Sunday in preparation for liftoff on a two-day trek ferrying more than 6,400 pounds of supplies and experiments to the International Space Station. 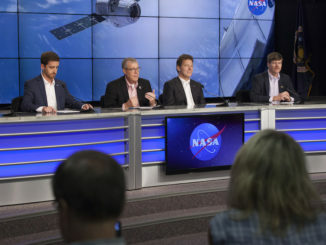 Officials from NASA and SpaceX briefed the media on Monday’s scheduled launch of a commercial Dragon spacecraft on an automated resupply mission to the International Space Station. It will be the 12th SpaceX cargo flight to the research outpost. 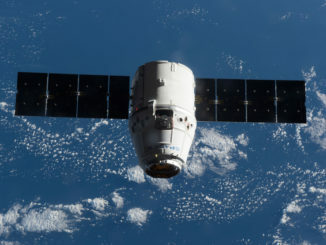 Two days after lifting off from Florida’s Space Coast, a Dragon cargo capsule packed with more than 6,400 pounds of research experiments and crew supplies arrived at the International Space Station on Wednesday. Astronaut Jack Fischer used the station’s robotic arm to grapple the supply ship at 6:52 a.m. EDT (1052 GMT).